Our son max developed a limp on his left leg, we initially thought it he had out grown his shoes. However he continued to limp, we left it a few days and then went to the GP’s. ‘growing pains’ we were told. After a week we became concerned as he continued to limp but also became unsettled at night and was sweating a lot on his head / pillow. My wife called NHS Direct , England had just kicked off in their opening game of the 2010 World cup finals. NHS direct said we were to go straight to A&E as it could be septic arthritis of the hip. After seeing countless doctors, various blood tests, examinations and scans we were sent home the next day. We had just got in the door when the hospital called to say come back as the blood test had picked something up. 36 anxious hours later the devastating news was broken to us that our 2 1/2yr old boy (max) had ALL. Stephanie Kennedy ~ Signs and symptoms of Hodgkins Lymphoma. Claire Dove ~ Signs and symptoms of Acute Lymphoblastic Leukaemia. My daughter was diagnosed with ALL in 2009. Main symptoms were swelling to the abdomen and loss of appetite due to enlarged liver and spleen, tiredness, severe pains in the hip/thigh that woke her in the night accompanied with a high temp. Gaby had a swollen gland in her neck, thats all!! She was 6. How many children get that with viral infections? 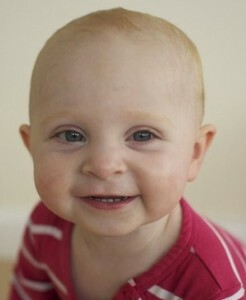 And for 15 months that is what we were told she had despite no viruses being identified! The lump came up, went down, came up bigger, went down again. Eventually I asked for it to be removed and was told it wasnt necessary! So i asked for a second opinion, the lump came out , and the rest is history!! Karen Ellam ~ Signs and symptoms of Medullablastoma, brain and spinal tumour. Hi my daughter Charlotte (aged 3)was diagnosed with Wilms tumour (rare kidney cancer) in 2006 she is now in remission thankfully! Her symptoms were distended tummy! Loss of appetite, she became lethargic & withdrawn at nursery! Our world fell apart once she was diagnosed but thanks to our local hospital St Peters in Chertsey & the Royal Marsden in Sutton she is now a healthy/happy 9 year old! Hope this helps! Heather Dowdeswell ~ Signs and symptoms of Ependymoma, brain tumour. Grade III Ependymoma (Brain Tumour). Diagnosed in 2009, 10 days after my son’s 5th birthday. Symptoms were extreme/constant tiredness, change in personality (clingy, grumpy), weight loss, random vomiting for no apparent reason but completely fine afterwards. My son also developed a squint smile and would have episodes of shaking. He had months of high temperatures also for no apparent reason. Strangely, only ever complained of one headache! We spent 3 months going back and forth to our GP and were given many reasons for these symptoms. When it was finally diagnosed the tumour was 9.5cm. My son has ALL diagnosed when he was 9 years old. We saw 2 GP’s and were turned away from A/E before a 3rd Gp took notice and referred us to our local hospital. My Son had backache and leg pains. He had facial swelling around his eyes which was very marked and obvious in the morning but did go down during the day. This was happening over 2/3 weeks. His urine was cloudy at each visit but never grew any bugs. (We were later told that this was dead cells being shed due to the leukemia). He was also very pale and underweight for his age. A parent’s ‘gut feeling’ should never be underestimated. I knew there was something out of the ordinary wrong with him. Obviously I never thought of cancer. My daughter was diagnosed with extensive infiltrative oligodendroglioma grade II aged 9 years old in October 2011. Her presenting symptoms were headaches, nausea and vomiting, excessive thirst and sleeping a lot. She had the headaches about once a month with vomiting which lasted a couple of days. This lasted for about 6 months with numerous visits to the GP’s where a diagnosis of acid reflux was made and a trip to the opticians to get her eyes checked where we were tols she had perfect vision. She finally got diagnosed following a trip to A and E after vomiting daily for a couple of weeks and a couple of days of her right eye deviating to the right when she was trying to focus. My son was diagnosed the 19th of August 2010- the Friday of his very 1st week at school. I had been back and forward to the doctors for a year. Firstly it was sore heads, and tummy aches- I was told he was fretting as I had began university full time! Then he suffered from reoccurring temperatures, and severe itching that would wake him. Again without examining him – kids catch things and he is itchy due to sweating when he has a temp! I bought him vitamins and he was ok til after Xmas until he had blood in his stools, took him to A&E to be told they couldn’t see any in his sample so we were sent home. During the summer holidays he had turned yellow and pasty in colour ( this to me was the one that I knew just wasnt right) and was struggling to walk any distance. Throughout this whole period his bruising became excessive and in uncommon places! His first day at school he woke with a small nose bleed, he had a lump at the glands on the back of his head, and a pounding heartbeat from the slightest exertion. Nobody else could see what I was seeing, not even his dad! He had the doctors the following Tuesday, however on the Friday I rang the docs and said he had to be seen that day- call it mothers instinct! Even in the waiting room I was doubting myself as he played happily with a toy! The doctor referred us immediately to the local hospital where he was diagnosed within hours, and with a platelets level of 6 was given a transfusion immediately! The stand in doctor who saw us that day had worked in the kids cancer ward the previous year- fate or what! Especially as the early hours of the Sunday morning he had bone pain in his legs and had to be put on morphine syringe driver! God only knows what I would have done if he had been at home with not a mark or any swelling but screaming in such pain! I just hope if any one reads this they take from it perseverance and never doubt your own instinct! My daughter Madilynn was diagnosed at 6 months with ALL ( acute lymphocytic leukemia). being a young mother and having to face such a terrible nightmare definitely tested me. Maddie went through her intro chemo, which was very rigorous and hard on her little body. She finally got into maintenance therapy and has one more weekly appt then they are going to see her in a month. If her counts are up, they will then schedule surgery for her port to be removed. I saved her little brothers chord blood and tissue just in case it was needed. Two blessings I recieved between Maddie finishing her two years of treatment and staying in remission and banking my sons chord for her. I stay weary of the long term affects the chemo could have on her but stay hopeful. She is now 2 and 1/2. My living miracle she is! My son Louis was 9 when he was diagnosed with Acute Myeloid Leukaemia. His symptoms were night sweats (which didn’t give us too much concern but I now know were the first signs) loss of appetite, leading to weight loss and breathlessness. He was also very pale in colour. The symptoms only began about 3 weeks before he was diagnosed and initially the doctors thought he just had a chest infection. I had a feeling that something was “not right” and took him to a different doctor who sent us to A&E for blood tests. Louis completed four blocks of chemo and almost 6 months in isolation in hospital and has now thankfully made a full recovery, we are so proud of him.I wish I had known more about childhood cancer symptoms at the time as they are so often thought to be more minor ailments and valuable time can be lost. My daughter had a small lump under her right ear- Atypical mumps said the GP. The only other symptom was thrashing around and moaning with pain during her sleep. Three visits to A and E (during which time the lump had grown considerably) followed by a trip to GOSH and she was diagnosed with Rhabdomyosarcoma. This was 20 years ago and she is now studying for a masters degree in Psychology with a view to working with children in Oncology departments. My son Otto was diagnosed with medullablastoma when he was 4. He suffered headaches, lethargy, agitation, restless sleeping while complaining of pain in his knees. GP said it was a virus. After another month he started vomiting as well and squint and double vision. GP said he was a mystery. I took him to several GPs but mother’s instinct finally convinced me to take him to AE. They rushed him into CTscan and saw swelling and lump in his brain. He had 5 cycles of extremely toxic chemo and suffered severe pain throughout. The cancer was almost gone after 6 mths but unfortunately came back with a vengeance. It was too late for radio and chemo had all but destroyed him. We were very blessed to have him at home with us for the last 2 months. I believe he knew he was dying but was completely at peace and happy with the knowledge that the angels would look after him. Our son, Christian was diagnosed July 5, 2013 with Acute Lymphoblastic Leukemia at 9 years old. Signs were leg/back pain, paleness, fatigue, bruising. His pediatrician knew immediately after a blood test and we went straight to Children’s Hospital where we spent 32 days. Today he is doing well and in the maintenance phase. 2+ years to go. Ollie was dx with ATRT of the lower spine on April 24, 2014. We noticed he wasn’t meeting mobile growth markers and got a second opinion after our first pediatrician brushed it off as laziness. But my instincts just knew something was wrong and after a 5 minute second opinion he was rushed to All Children’s. ATRT is so so rare and even more so in the spine as it is usually found in the brain. 3 treatments in and he is responding amazingly. The doctors are saying the response and reduction of the tumor is nothing short of miraculous and they are at a loss as to explaining it! We have a very long battle ahead of us but our darling lil boy is a true fighter and we see God’s love,grace and joy through him! You can follow our journey on the fb page Prayers For Ollie-prayers and good thoughts always remind us that we are not fighting this alone! Alixandra, AT/RT- for 4 months we were in and out of the pediatrician’s office. Alix had always been a clingy child so I thought nothing of the extra clingy and crying. However, she started drinking a lot and was urinating frequently. Then she started vomiting. Shortly after the vomiting she began to start losing her balance. It took 4 months of misdiagnosis and an er trip and we finally found her tumor and the fluid build up. Our only child was diagnosed with standard risk medulloblastoma within a week of her sixth birthday. However,it took a few weeks, two trips to our family doctor and two trips to the ER at two different hospitals. “Luckily” that’s all it took as our neurosurgeon told us had it been another couple of weeks, the brain tumour would not have been encapsulated and may have already spread to the spine. Initial symptoms were headaches that were dismissed due to migraine, stress and/or allergies. They became worse accompanied by nausea and vomiting, but when she woke in the morning or wee hours of the night with headaches and vomiting, we knew it was serious and apparently a red flag for the medical profession. Years after surgery, radiation and chemotherapy, she has squamous cell carcinoma, which was first diagnosed as a skin lesion, and is now being monitored for a nodule on her thyroid. Understandably, I think, any headache now causes me to feel sick to my stomach. My son Connor was diagnosed with medulloblastoma aged 11 in 2008. He had nausea every day in the mornings and as the day went on it would fade, as we know now it was the pressure settling from being flat in bed to being upright in the day. Everyone thought it was nerves as he had just started secondary school. He isn’t the nervous type. As we went through September he had vomited a couple of times but they were more like sneezes – they just happened and he didn’t feel any more ill. This went on for 3 months with 4 or 5 visits with the GP. Well into November, one Sunday night Connor said the telly looked fuzzy, it was clear as a bell. The next day I made an optician appointment. Those next 3 days were terrible, he was vomiting so frequently he nearly passed out and said he could feel a blob throbbing at the back of his head. I managed to get him to the GP again, he asked what I thought it was!!!! He sent us to Lincoln children’s ward for a CT scan with dye. Then came the news of a tumour and the world came crashing down. QMC, Nottingham picked up the pieces and over 90% of the blob was gone. 8 years of myriad chemo, radiotherapy, radio surgery and 4 relapses later, Connor is still smiling, with many problems hidden and in plain sight, but still smiling.